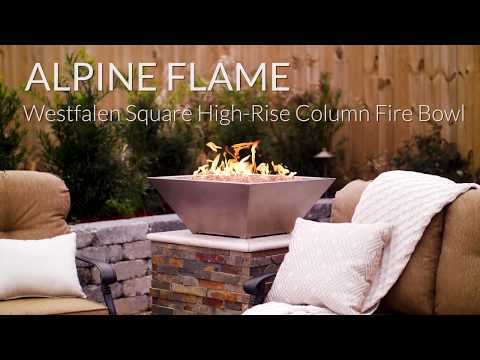 Lakeview Outdoor Designs Westfalen Fire Bowls add a modern touch to your outdoor living space or landscaping with the added benefit of warmth. This fire bowl is constructed of commercial 304 grade stainless steel with a brushed stainless finish, and features a match lit 304 grade ring burner for years of trouble free use. Add fire glass or lava rocks to match your decor and complete the look. This fire bowl can be installed on a column or pedestal, making it the perfect addition to a garden or poolside setting. Base measures 13 X 13.